There is so much hype around blockchain that you would think it will finally cure the common cold! Or, at least it will solve chronic problems with health data interoperability and security that plague health data sharing. Blockchain technology — basically, a distributed, immutable ledger — will be used to share health data securely and to authorize and track health data usage. But blockchain technology alone will not make health data interoperable or ensure data is shared. Solving these problems still requires standardizing health data formats and coding and regulating health data sharing for research and system wide improvement. The first health industry applications are likely to address the secure exchange of well-defined healthcare transactions, such as adjudicating insurance claims and monitoring and controlling the drug supply chain to prevent counterfeiting. Curing the common cold of healthcare data – interoperability, access and sharing – is still pretty far down the road. While costly now, blockchain can be the next technological light bulb to revolutionize the future. For pharma, it could mean securing much-needed trust between parties with an interest in drug supply chain integrity — pharma companies, manufacturers, trading partners, pharmacies, patients — with the added benefit of re-enforcing compliance with regulatory bodies. Drug traceability through the supply chain poses the challenge of keeping track of a multitude of transactions performed by many partners. The sheer amount of data constitutes a challenge, even if all or some partners have electronic connections to trace and keep track of drug progression through the supply chain. Blockchain can offer an elegant solution: Supply chain integrity, facilitated by a closed ledger system in an ecosystem enabling trusted exchanges between parties, with the added benefit that it offers an audit trail that satisfies regulatory requirements; ease of use between smart contracts that can be applied across the entire value chain, whether in a clinical trial, in the supply chain, or in a commercial healthcare space; and an automated approach, eliminating the need for a “middle man” within the contract management process. Blockchain does not have a place in healthcare today. But it will. In lots of ways. Because it’s the ultimate asset tracker. If a blood sample needs to be tested within 24 hours from the time it’s taken to yield accurate results, for example, then the blockchain would serve as validation that it has or hasn’t. Because of its distributed nature, you can’t cheat the ledger. That’s the beauty of it. I’ve no doubt that, one day, the EHR will be housed on a distributed ledger. It will also be used by healthcare providers and their suppliers to manage inventory and transactions of everything from oxygen to sutures. is a very good fit for the healthcare space and the solution revolves are the concept of secure information sharing and accessibility. There is a massive need for a better, more secure way to share information. There a hundreds of different EMR/EHR solutions out there, many of which have their own languages for representing and sharing data. This leads to high management costs, patient data being scattered across companies/locations and concerns about accessibility run rampant through the systems. Unfortunately put it all together and patients are impacted — untimely care or worse, improper care. Blockchain can serve as a central entity that unites the disparate processes and data sources, helping to increase data flow between systems, and reduce costs by eliminating middle men. And all of this leads to an improved patient experience and most importantly better, faster care. In theory, every checkup, issue, medication, etc. could be put on a central ledger, with every EMR system having access to that ledger for immediate access to patient history. Blockchain provides two key advantages for adoption in healthcare: security and its ledger function. In the medical device and pharmaceutical industry, regulation around data protection (EU General Data Protection Requirement) and the U.S. Drug Supply Chain Security Act make blockchain a natural fit to help the life sciences sector comply with the law. Virag Mody, CRO, Authio Inc.
Blockchain will allow for a global database for any healthcare provider to update a patient’s EHR, with the patient’s consent, therefore creating a rounded and accurate medical profile. (Further reading: MedRec out of MIT Media Labs.) In pharma, blockchain will dis-intermediate pharmacy benefit managers as smart contracts can be used to set up agreements between patients, drug manufacturers, pharmacies and insurance companies, eliminating the need for a middleman. (Further reading: Here.) There has been talk of the CDC exploring blockchain as a means to track the movement of a population during a pathogen outbreak to better mitigate the threat. If you’d like to explore the overlap between blockchain, healthcare, and AI/ML, David Houlding (director of healthcare privacy and safety at Intel) has a number of informative articles on LinkedIn. Blockchain technology is particularly well-suited to permanent immutable records we can trust, and making those records easily accessible. In healthcare, like many other sectors, sharing records and obtaining a “single version of the truth” isn’t easy. In 2003 for example, there was the SARS outbreak, and it was very difficult for hospitals to get an accurate count of suspected cases since hospital systems were not sharing data adequately (ultimately, cases were tracked in a spreadsheet). Blockchain can enable secure information sharing across organizational and hospital silos in all kinds of different areas – from medical records themselves (imagine patients in charge of their data sharing with system participants as needed), to lab results, or asset tracking. Lots of use cases for blockchain are already coming out. Many use blockchains ability to help provide unalterable public records — things like security logs for changes to patient records, history of medical procedures, immunizations and life events. Companies that currently use blockchain in healthcare include Patientory, which uses a blockchain backed mobile app that stores patient data on a blockchain; PokitDok, which uses blockchain for claims adjudication, identity management and prior-auth workflows; Medable uses a blockchain for a medical data exchange platform for research studies. GEM is working on using blockchain to automate claims management for verifying claims and reimbursement to reduce costs. Guardtime is using blockchain to secure health records for the Estonian e-Health Authority and Chronicled is using Hyperledger to automate business processes around supply chain. One of the most promising applications of the blockchain is for automating time-consuming administrative processes. Currently the systems for doctors and insurers can’t communicate so doctors spend significant time filling out prior authorization forms and faxing them to payers. Payers manually review these forms and oftentimes missing or incomplete data leads to time consuming back and forths. The blockchain’s shared, validated and secure access to information allows doctors and payers to streamline this process. It works by programming the payer’s health plan information into smart contracts. When a doctor wants to prescribe a treatment, the doctor simply allows the smart contract to view the needed patient records and the payer’s smart contract automatically compares those records to the insurer’s health plan information, makes a determination and immediately relays the result back to the doctor. This provides accurate, real-time determinations that save resources and prevent delays in care. Blockchain absolutely has a place in healthcare. The idea springing to mind instantly is a global ledger that instills confidence in users to upload their DNA data, so as to provide researchers and institutions with invaluable insights into DNA sequences, which can help advance healthcare. A major constraint on the current state of research in the field is a lack of collaboration between institutions, who keep proprietary databases. This comes at the cost of impeding advancements in precision medicine. A blockchain-based approach to the industry, however, would permit individuals to upload this data in a secure manner, with the option to anonymously share it for the purposes of drug development, medical research, or public health studies. It further enables them to monetize such data. Blockchain technology’s far reach is the future of medical innovation. Incentivizing users not only draws in a wider data pool to create powerful data sets, but ensures that researchers are constantly on the bleeding-edge. The financing and delivery of healthcare is ripe for disruption. Healthcare costs are approaching 20 percent of GDP in the US while life expectancy has declined in each of the last two years. Blockchain offers the potential to address both the financing and delivery. Cryptocurrency and smart contracts can replace the red tape that plagues the healthcare industry today. Furthermore, voluntary mutual-aid can replace government safety nets that have proven to be filled with waste, fraud, and abuse. Real life examples? Blockchain applications are new, in general. This is definitely the case with healthcare. However, approaches that simply aim to make existing processes more efficient will fail. Our healthcare system hasn’t changed much since World War II and is ready for complete disruption. Blockchain and other enabling technologies are already playing a key role in the future of healthcare IT – especially in relation to ONC’s Trusted Exchange Framework and Common Agreement (TEFCA) draft. Blockchain-based systems have the potential of greatly reducing or eliminating the cost and the friction of current intermediaries. Currently, there is a lot of exchange of personal health records and HIE data. Precision medicine and the whole aspect of patient care and outcomes research are some of the more compelling use cases for the technology. And as the proliferation of more use cases grows, blockchain will become a greater component of trust exchange in healthcare. Is blockchain the end all, be all? No. But it certainly is an enabling technology that will move the needle further in healthcare with tremendous amount of capability and traction. Blockchain technology is the missing link for many of healthcare’s largest pain-points, poised to help create a more interconnected health ecosystem and drive down unnecessary operational costs. Healthcare organizations can use blockchains to reduce inefficiencies across patient or provider record keeping, the supply chain, the revenue cycle and sharing of electronic health data. As such, blockchains can ensure payers, providers, pharmacists and even researchers have more efficient and informed experiences. 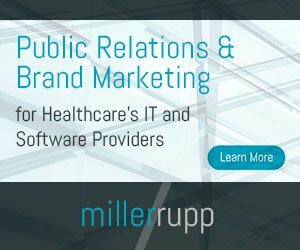 As organizations are experimenting with blockchains – and research shows 96 percent have already started identify use cases while 29 percent are already testing proof of concepts – the industry is seeing nearly every aspect of the healthcare patient lifecycle impacted by the technology. Although blockchain technology is still in a nascent stage, its transformational capability is something organizations should start exploring. Organizations should identify valuable yet manageable use cases, such as provider data management, and embrace ecosystem collaboration to start down path toward a blockchain enabled future. Healthcare interest in blockchain is heating up, for good reason. Blockchain’s appeal in healthcare IT is largely tied to its advantages in privacy and information assurance. As HCIT innovators, we’re interested in how blockchain supports a single, authoritative record of a series of transactions. Could blockchain play a role in building a singular health record that spans across EHRs, regions, and a patient’s lifetime? I foresee parallel development in artificial intelligence enabled by this patient data model – a single record of all care received by a patient. Can we leverage AI to extract insights and anticipate care recommendations to improve outcomes at the patient level? And speaking of the patient, blockchain may hold the key to a truly portable patient record that is actually owned by the patient. Access to lifelong health records via a smartphone for example presents a transformational opportunity for patient engagement. Blockchain has a place in healthcare claims management. Recognizing the difficult challenges healthcare providers and payers face with claims management in the era of value-based care, advanced blockchain technologies are helping them to reduce claims denials, increase claims processing transparency and improve collection of patient financial responsibilities. These solutions provide next-generation workflow and advanced technologies, including machine learning and blockchain/private distributed ledger technology (DLT), to prospectively help providers reduce claims denials and secure payment of patient financial responsibilities for care. Payers are now able to create new levels of transparency around real-time adjudication of claims and reimbursement, as well as the immediate generation of explanation of benefits (EOBs) for members. Blockchain technology will soon revolutionize healthcare. Blockchain technology is poised to address the major trust issues that prevent sharing of health information. Because of consent and privacy issues, your health information is currently siloed and isolated. On a small scale, this is the reason why it is so frustrating when you go to a new doctor and they don’t have your previous records because they haven’t been “faxed” over from your previous doctor’s office (a sign of how archaic our current healthcare industry can be), or even why it can be so difficult to try and obtain your very own medical records yourself. On a larger scale, this lack of ability to exchange health information is preventing breakthroughs in treatment because data from many people cannot easily be combined and pooled together for analysis. Blockchain technology solves all of these issues and finally paves the way for mass sharing of health information in a safe, private, and secure way. This means you will have full access and control over your health information, and you can also offer (or sell) it anonymously to other entities who will use it for research and development of new treatments and understanding of diseases, and ultimately to artificial intelligence-based diagnosis. A real-life example is companies like as 23 & Me and Shivom, that are preparing to combine blockchain technology with mass sequencing of the human genome, which will usher in the era of individualized precision medicine.